Did you suffer an aortic aneurysm after taking Levaquin? Recent studies have linked the popular antibiotic to the life-threatening injuries aortic aneurysm and aortic dissection. If you or someone you love was injured as a result of taking Levaquin, you may be entitled to financial compensation. Call the lawyers at National Injury Help today to see if you qualify for a Levaquin Lawsuit. There may be substantial cash awards from claims and settlements from a Levaquin class action lawsuit. Call 1-800-214-1010 for a free case evaluation, or use the form on the right-hand side of the screen. Levaquin belong to a class of drugs called fluoroquinolones. It is among one of the most-prescribed antibiotics in the United States, and is used to treat common illnesses like bronchitis, sinus infections and urinary tract infections. After the first fluoroquinolones were approved by the Food and Drug Administration in the late 1980s, they quickly became the highest-selling antibiotics in the country, climbing from 7 million prescriptions in 1995 to 22 million prescriptions in 2002. Today, more than 26 million people are prescribed a fluoroquinolone antibiotic in the United States each year. Though Levaquin is necessary and can be life-saving in many cases, it is often overprescribed and carries the risk of serious, sometimes life-altering side effects. Recent studies link the drug to damage in the lining of the aorta, the body’s main blood vessel, suggesting it can cause tears to the aorta, called dissection, or bulging in the aorta, called an aneurysm. Both of these conditions can be fatal if left untreated. Individuals harmed by Levaquin may be able to seek settlements in the form of a Levaquin Lawsuit. The aorta is the body’s main artery, responsible for carrying oxygenated blood to nearly every part of the body. Damage to the aorta can cause serious, life-threatening complications, including heart attacks, strokes and even death. Levaquin has been linked to two types of damages to the aorta: aneurysm and dissection. Researchers suggest Levaquin may affect collagen composition in the body. Collagen makes up the majority of the lining of the aorta. Two recent studies published in the November 2015 editions of JAMA Internal Medicine and BMJ linked Levaquin to these risks. The JAMA Internal Medicine study found patients taking Levaquin, or another fluoroquinolone antibiotic, in the last 60 days were at a two-fold increased risk for aortic aneurysm or dissection. Patients taking the antibiotics in the past 61 days to one year were also at an increased risk, though their risk was slightly lower than current users. The BMJ study found patients taking Levaquin, or other fluoroquinolone antibiotics, were at a nearly three-fold increased risk of aortic aneurysm or dissection. The study, which looked at 1.7 million older adults, said most patients who developed an aortic aneurysm or dissection did so after about 20 days of taking the medication. The study also talked about the overprescribing of antibiotics in the United States, which can be especially dangerous when those antibiotics carry risks of serious side effects. Aortic aneurysm and dissection are possible side effects of the popular antibiotic Levaquin. Both conditions can be fatal if not treated promptly. An aortic aneurysm is an abnormal bulge in the wall of the aorta. When a weak area in the aorta exists, the pressure within the artery can begin to push outward, creating a bulge or ballooned area. When an aneurysm ruptures it is considered a catastrophic, life-threatening event. Though aneurysms can occur in any blood vessel in the body, they most often occur in the aorta. The two most common areas within the aorta to form an aneurysm are in the abdomen and the chest cavity. Aortic dissection is an often fatal condition that occurs when the inner layer of the aorta tears. When the inner layer tears, blood surges through the opening, causing the inner and middle layers of the aorta to separate, or dissect. If the dissection ruptures, it can be fatal. Symptoms of aortic dissection can mimic those of other diseases, which often delays diagnosis. An aortic dissection that is caught early and treated promptly significantly improves a person’s chances of survival. In 2008, the FDA required the makers of Levaquin, Johnson & Johnson’s Janssen Pharmaceuticals, and other fluoroquinolone antibiotics to include a black box warning on the drugs’ labels, warning patients of the risks of tendon rupture. In May 2016, the FDA said it would strengthen that black box warning to say the side effects of Levaquin and other fluoroquinolones generally do not outweigh the benefits for patients with sinus infections, bronchitis or uncomplicated urinary tract infections who have other treatment options. 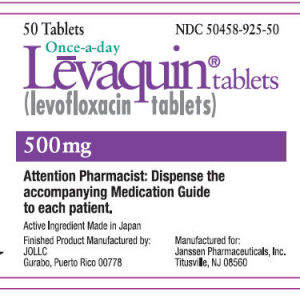 Levaquin’s black box warning highlights other side effects associated with the popular antibiotic medication, including damage to tendons or tendon rupture, and a type of nerve damage called peripheral neuropathy. Levaquin increases a person’s risk for tendon damage or rupture. While Levaquin can affect any tendon in the body, damage most often occurs to the Achilles tendon. The FDA’s 2008 black box warning strengthened an existing warning on the drug’s label. The agency also said the risk for tendon damage or rupture is greater for those over 60, who are using steroidal medications, or who have had a lung, kidney or heart transplant. In 2013, the FDA issued a safety communication regarding the risk of peripheral neuropathy while taking Levaquin and other fluoroquinolones. Peripheral neuropathy is severe nerve damage occurring in the arms or legs. The FDA warned nerve damage could occur at any time while taking Levaquin and could last for days or months after stopping the medication. For some people the symptoms could be permanent, the agency would later warn. Previous class action and individual lawsuits have been filed against the makers of some fluoroquinolone antibiotics due to the drugs’ possible side effects of tendon rupture and peripheral neuropathy. With recent studies linking the antibiotic medications to aortic aneurysms and dissections, new lawsuits and claims are being filed in 2016 by those harmed by the popular drugs. National Injury Help is currently investigating cases for a potential lawsuit against the makers of Levaquin, corporate giant Johnson & Johnson and its pharmaceutical division Janssen. Other lawsuits are possibly forming against the makers of other popular fluoroquinolone antibiotics, including Cipro. Three recent questions about Levaquin lawsuits people are asking us. How much can you sue for a Levaquin lawsuit? How much compensation would I get from a Levaquin lawsuit? How much is the settlements from a Levaquin lawsuit? The answer to these questions can be difficult to predict, as the possible MDL for this hasn’t started yet. There is still time for join in this Levaquin lawsuit, but there are statutes of limitations that apply. Some of the past defective drug lawsuits have had millions of dollars in a compensation fund, and then that is divided up between all who have joined the lawsuit. Example: $100,000,000 in a settlement fund that would serve 1,000 victims would be $100,000 per person. This is only an example and does not represent what may happen for Levaquin. If you or someone you love took Levaquin and suffered from an aortic aneurysm or dissection, you may be entitled to financial compensation. Not sure if you have a case? Call us today to speak with a member of our legal team. 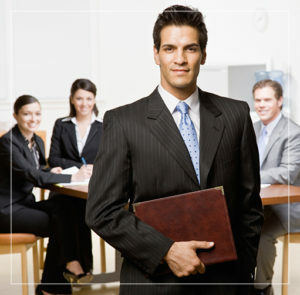 We can answer your questions and help you determine if your case qualifies for a possible lawsuit. Call National Injury Help today at 1-800-214-1010, or use the form on the right hand side of your screen. Levaquin claims and lawsuit settlements page updated on April 10, 2019.